What is ALTO Accounts Payable? ALTO Accounts Payable is a system developed to help businesses reliably and cost-effectively automate the accounts payable workflow. The software automates the tracking of accounts payable processes. Virtually, ALTO Accounts Payable is all about improving efficiency, getting actionable insights, and achieving significant cost effectiveness through automation. ALTO AP was intended to help producers define their own accounts payable processes. With the system, producers can choose who needs to be involved, set their compliance standards, and determine what can be considered as defective within the process. ALTO A integrates seamlessly with other systems that producers use, including capital, financial, land, field data capture, and document management systems. ALTO Accounts Payable dramatically simplifies the processes pertaining to accounts payable. It automates it, and it allows smooth and painless monitoring of the accounts payable process via invoice and payment of vendors/suppliers. Still, that’s not everything there is to say about ALTO Accounts Payable – the software is fare more efficient than that! Users will love how ALTO Accounts Payable seamlessly integrates A/P workflow with capital, financial, and document management systems while delivering to businesses an effortless way to monitor work-in-progress in real time, as well as facilitating the ability to manage by exception if required. The product also enables oil & gas producers to view summaries of their invoice history by vendor, business unit, or account. They are also given features to help them analyze the value of their accounts payable and instantly determine and leverage cost saving opportunities. With ALTO Accounts Payables, eliminating errors and delays in the process is not just a concept, but reality. For many businesses, ALTO Accounts Payables provides them with the ability to greatly benefit of supplier early-payment discounts, enabling them to save millions of dollars every year. Not only that: many companies are able to significantly lower their transaction costs, by consistently capturing and moving data, and monitoring work in progress in real time. ALTO Accounts Payables helps in enhancing cash management, and enables businesses to make more accurate cash flow forecasts. Users also enjoy significant reduction in time as well as the resources required in handling errors and lost billings. Businesses also have the ability to analyze and consolidate vendors, resulting in more value from millions of purchasing dollars spent. Every enterprise has different requirements and requires an application that can be customized for their size, type of employees and clients, and the specific industry they are in. For these reasons, no software can offer perfect tools out-of-the-box. When you try to find a software system, first be sure what you need it for. Read some ALTO Accounts Payable reviews and ask yourself do you desire basic functionality or do you want sophisticated tools? Are there any industry-specific tools that you are searching for? Get the answers to these queries to aid your search. There are multiple aspects that you need to consider and these include your budget, particular business requirements, your company size, integration requirements etc. Take your time, try out a few free trials, and finally select the platform that presents all that you need to boost your company effectiveness and productivity. How Much Does ALTO Accounts Payable Cost? Pricing information available upon request. Contact the vendory directly to get a quote adjusted for your company needs. We realize that when you make a decision to buy Accounts Payable Software it’s important not only to see how experts evaluate it in their reviews, but also to find out if the real people and companies that buy it are actually satisfied with the product. That’s why we’ve created our behavior-based Customer Satisfaction Algorithm™ that gathers customer reviews, comments and ALTO Accounts Payable reviews across a wide range of social media sites. The data is then presented in an easy to digest form showing how many people had positive and negative experience with ALTO Accounts Payable. With that information at hand you should be equipped to make an informed buying decision that you won’t regret. What are ALTO Accounts Payable pricing details? 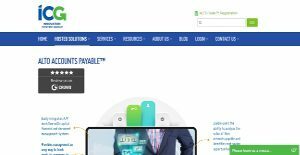 What integrations are available for ALTO Accounts Payable? Alto Accounts Payable integrates with electronic invoicing systems, capital and financial apps. If you need more information about ALTO Accounts Payable or you simply have a question let us know what you need and we’ll forward your request directly to the vendor.